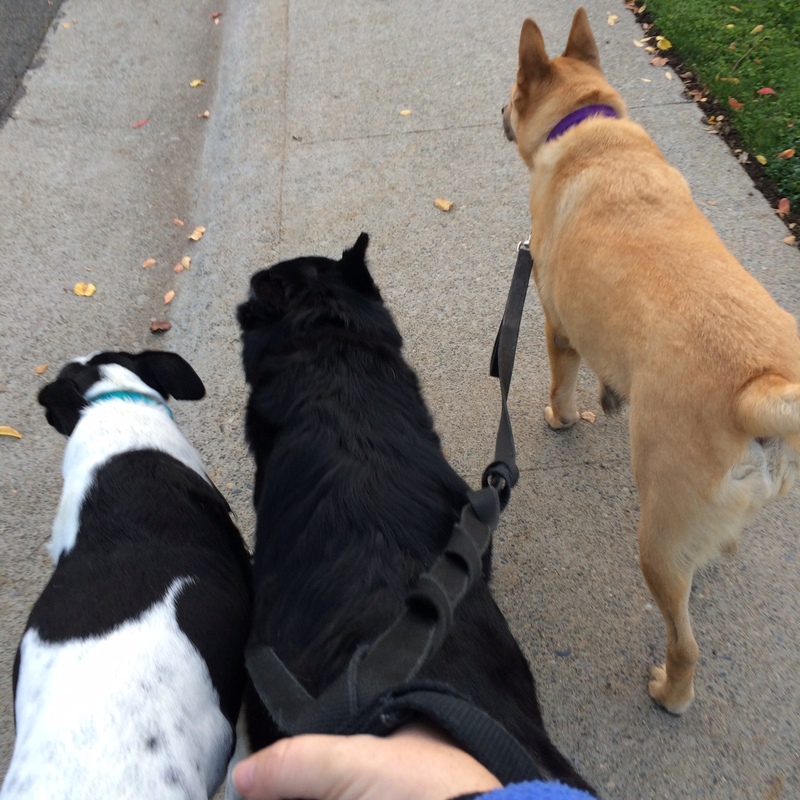 When the dogs and I go on our walk in the mornings we take the same route. It can get a bit monotonous for me, but it’s their walk not mine so I don’t complain. A couple of the houses we pass by everyday have pine trees that drop the most interesting pine cones. 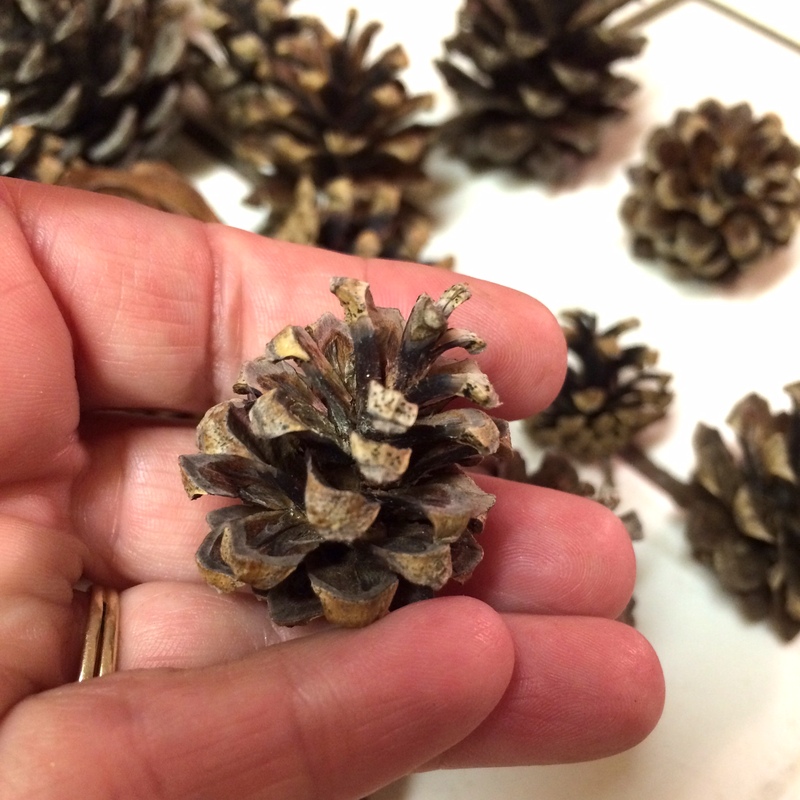 The first trees cones aren’t the traditional pine cone shape. They’re shaped like roses and I pick them up every chance I get. The second house has a tree that drops what I call “wee little pine cones” because they’re super tiny. We (I mean me) love going by this house after a windy day because the sidewalk is littered with these little gems. I stuff my pockets to the brim with no real objective other than to admire their cuteness. Until now! 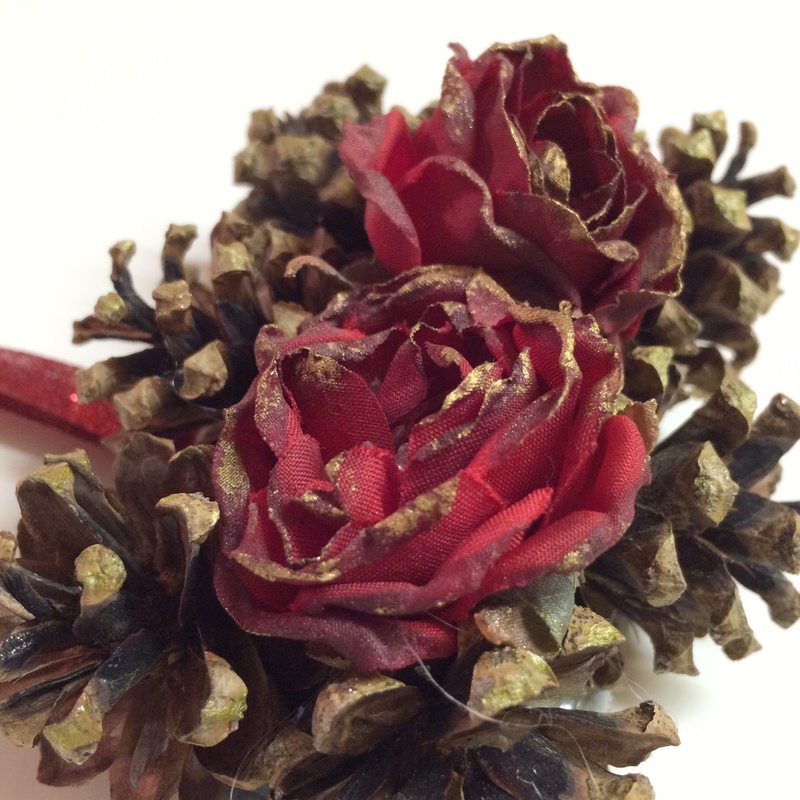 Today’s two ornaments were made using my pine cones. I kept this really simple, both in materials and technique. I cut scrap cardboard to serve as a base for my design. 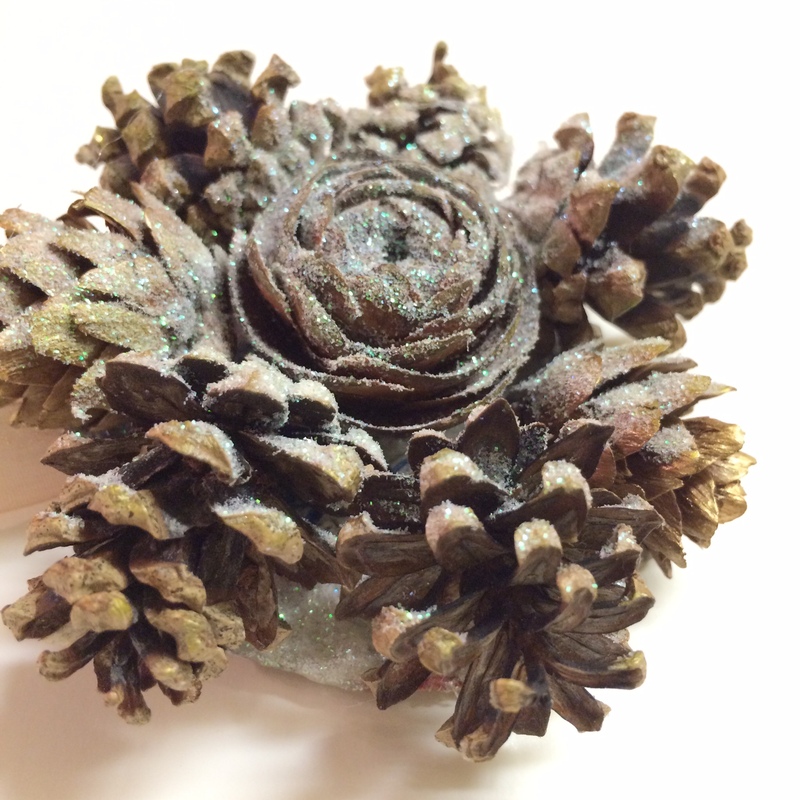 For the round ornament, I hot-glued the tiny pine cones in a ring around a rose pine cone and then sprayed them with spray adhesive and sprinkled them with glittery dust. 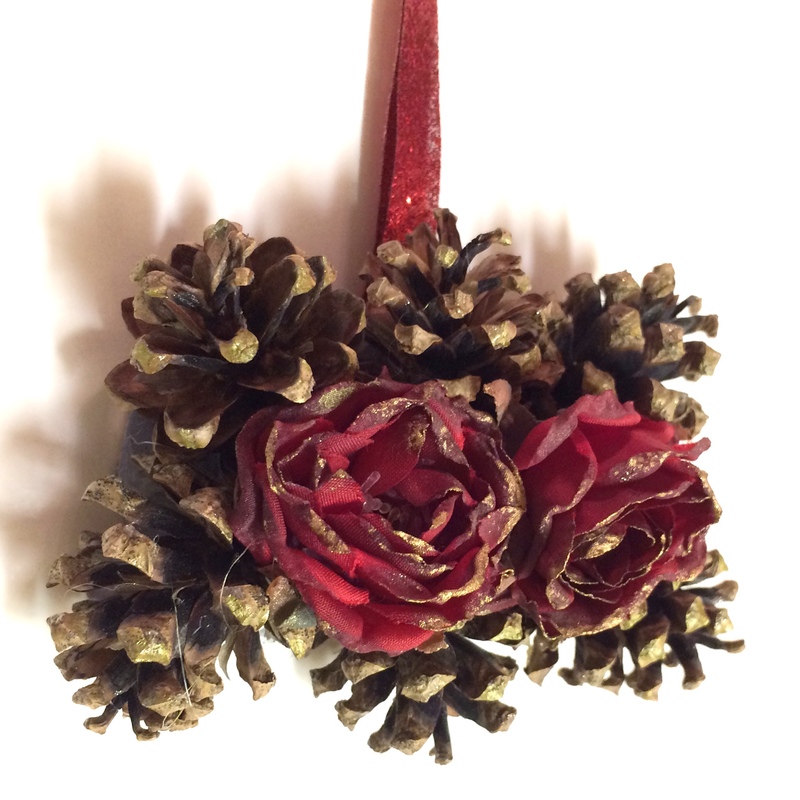 The second ornament, the rectangular shaped one, I, once again, took a scrap piece of cardboard and hot-glued the tiny pine cones in a rectangle shape and then place two artificial roses in the middle. To both of the ornaments, I added ribbon on the back. 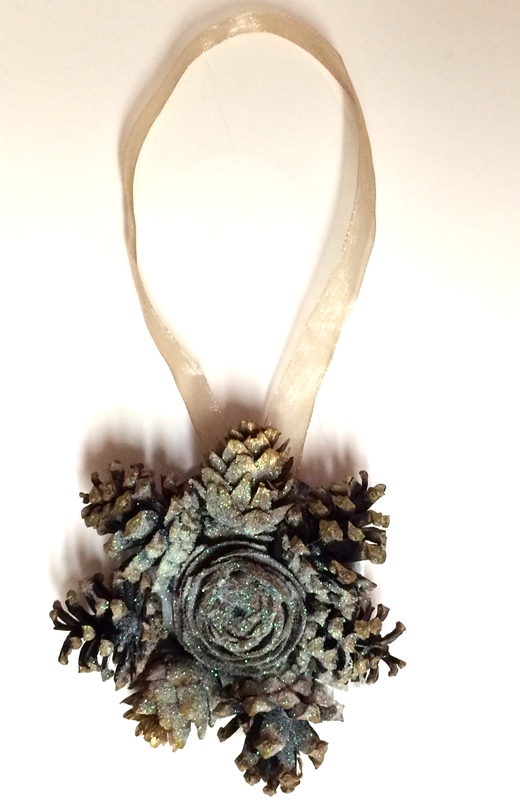 I have a lot more pine cones to work with and even think a simple pine cone with a beautiful bow on top could be pretty on a tree. Item #39 – Make dog beds. I wrote about my dog bed design in a post called Anatomy of a Dog Bed. I have sold a few through my Etsy shop and received very complimentary reviews. I plan to make more beds and continue to develop my design. Question of the Day: When do you open Christmas gifts? We’d love to stay and chat, but we’re on our way to the pine cone houses. Momma loves those pine cones and we love momma so we go. 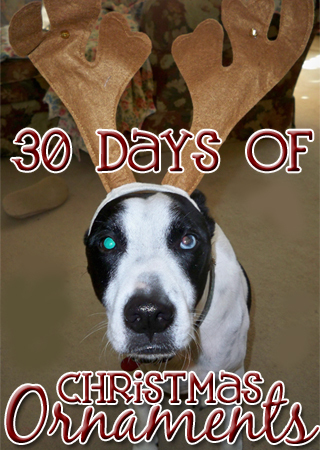 This entry was posted in 30 Days of Christmas Ornaments, Accountability, Challenges and Contests, Christmas, Decorating, Dogs, Goals, Homemade, Quest46, Recycling, Repurposing and tagged 30 Days of Christmas Ornaments, accountability, Challenges and Contests, Christmas, Decorating, Dogs, goals, homemade, Quest46, recycling, repurposing. Bookmark the permalink. Different times with different family members – probably mostly Christmas Eve though. We open gifts Christmas morning. We open gifts when we’re with the different people, so my mom’s side on Christmas Eve, stockings Christmas morning, dad’s side on Christmas Day. And then gifts from friends whenever we see each other! One gift on Christmas eve and the rest on Christmas Day. 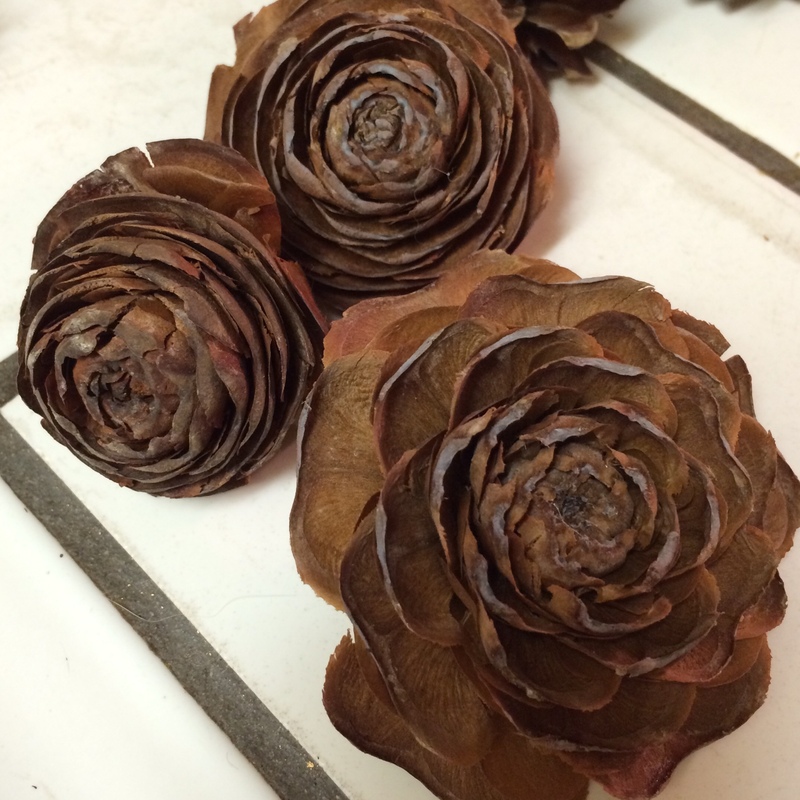 FYI… the little cones are Redwood cones. I have them here on my property if you want more – used a few on project with mom yesterday. That’s good to know Kathy. Right now I’m just collecting a couple at a time, in fact, I found two this morning. When I get around to starting my fairy garden, I may come over for some. The pine cone bits make great roof tiles. I hadn’t either until a couple of years ago. I have a friend that has a tree that makes these. I’ll have to ask her what the tree is. I’m inclined to say a spruce, but I don’t know for sure. I open gifts on Christmas morning.